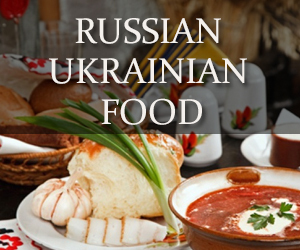 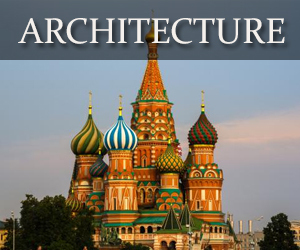 Foreigners are often unfamiliar with Russian and Ukrainian architecture. 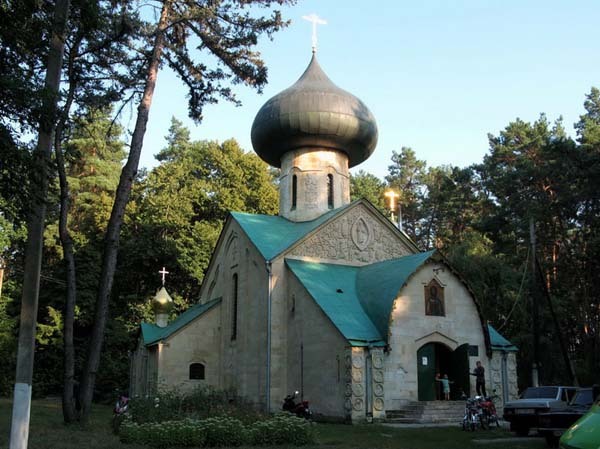 Most everyone knows about the onion domed cathedrals and the dull and dreary construction from the Soviet era, but little else. 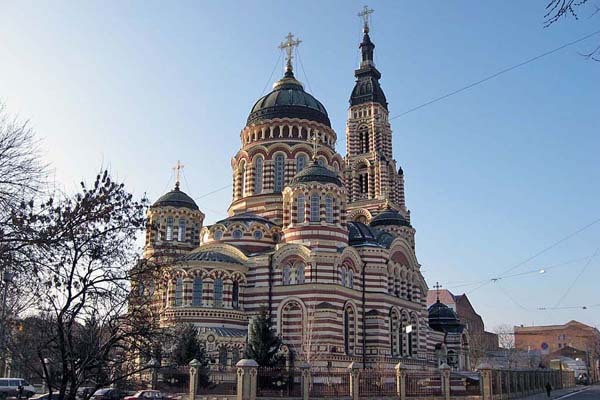 The truth is, Russia and Ukraine have gone through many periods of architectural development, from wooden-vernacular architecture that predates Kiev Rus’, to 21st century skyscrapers that are starting to dominate Moscow’s skyline. 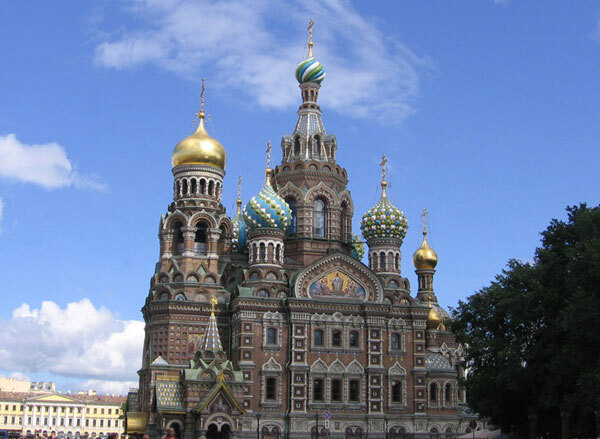 Even the Soviet era, which has gained a rather negative stereotype, managed to construct many great architectural wonders. 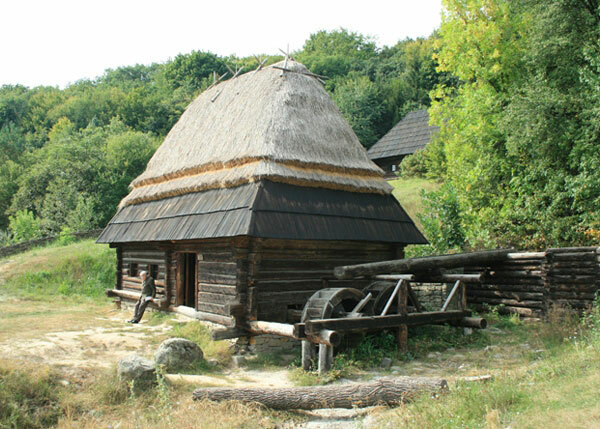 Vernacular Architecture includes non-professional, civilian constructed buildings including homes, granaries, workshops, windmills, etc. 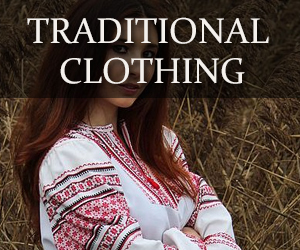 Also known as folk or traditional architecture, construction skills were based on local traditions and knowledge handed down generation to generation. 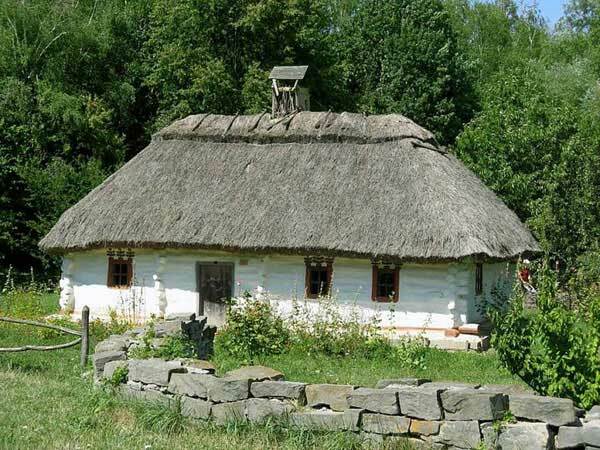 Wood, clay and thatched roofs were primary building materials in most vernacular architecture of Russian and Ukrainian peasants. 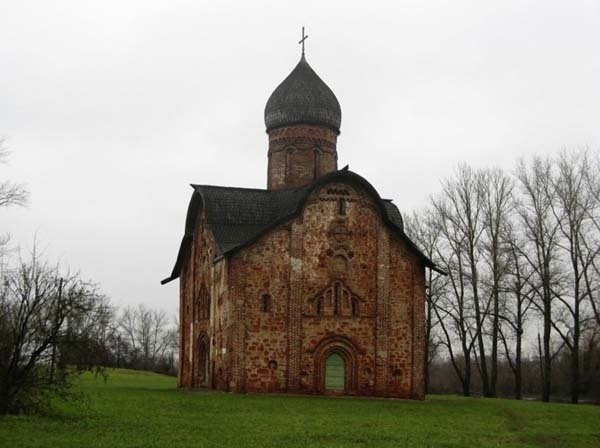 While masonry churches were predominate in urban areas, wooden churches were more common in Russian and Ukrainian villages. 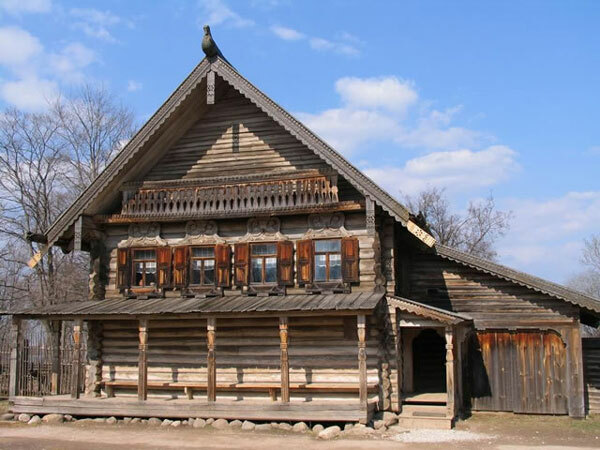 In the tradition of vernacular architecture, construction skills were passed through the generations. 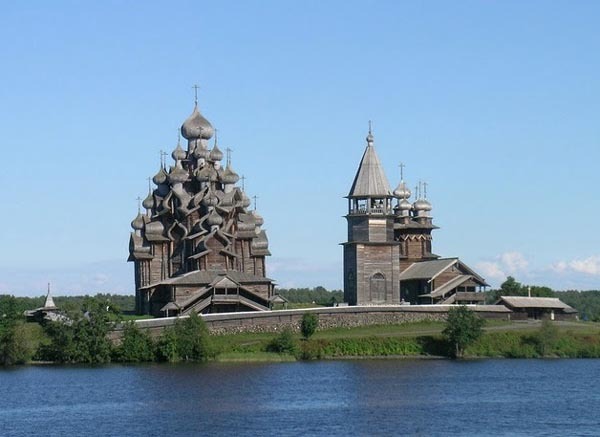 The most captivating of these churches were built without the use of nails. 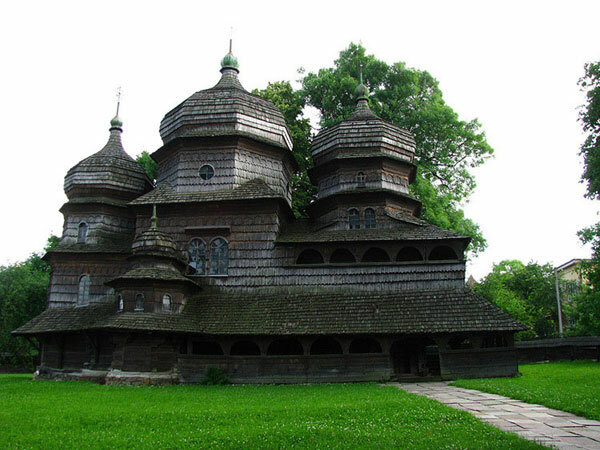 Made of scribe-fitted horizontal logs and/or lumber with interlocking corner joinery, these structures have proven to be most durable. 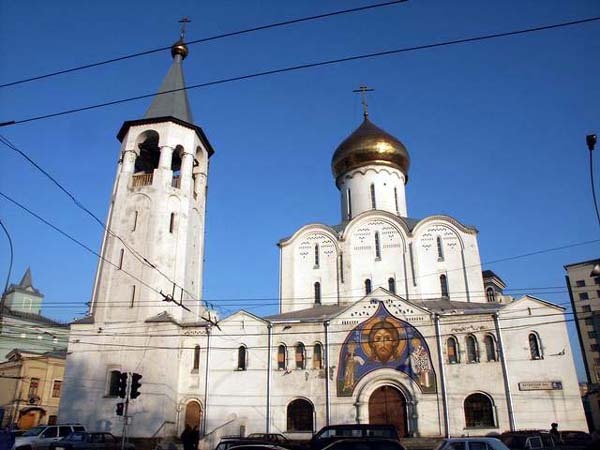 In fact, Saint Ascension Cathedral in Almaty (yellow and green in photo), was one of just a few structures to survive a massive 10 pts on the Richter scaleearthquake in 1911. 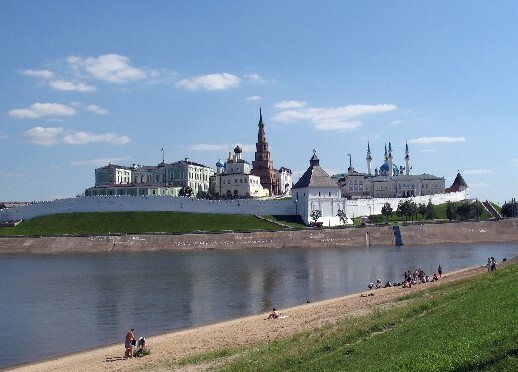 Kremlin refers to a central fortress or citadel that was built as a means of defense for the adjoining Russian city. 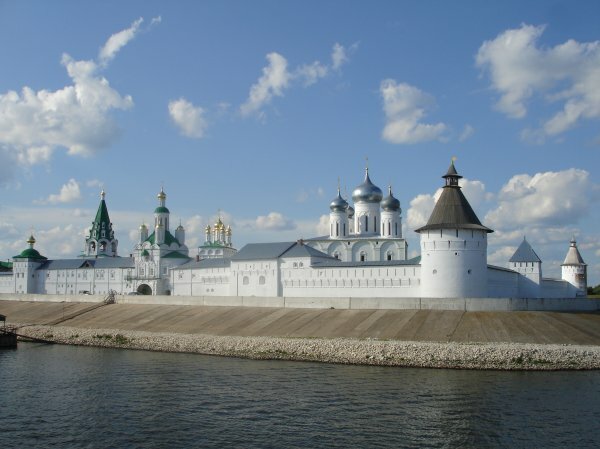 Within surrounding walls, towers and battlements of the kremlin you would typically find a palace, cathedrals, government offices and munitions stores. 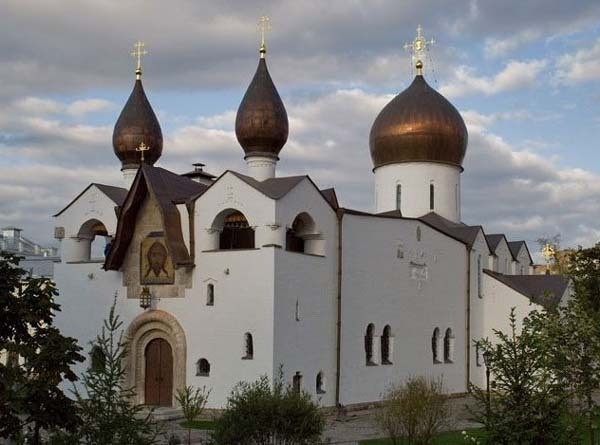 Religious monasteries also constructed fortified walls as a means of defense. 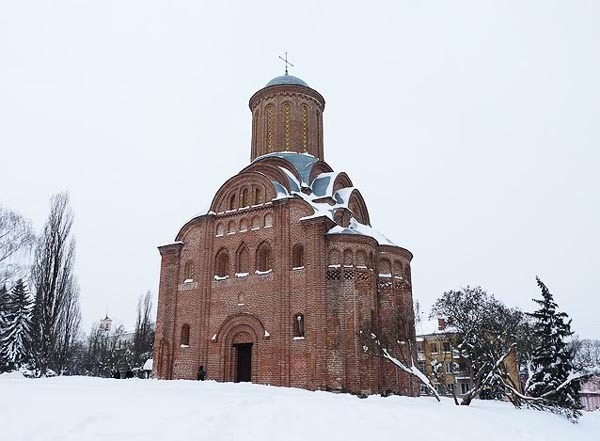 While many of these historical forts are now in ruins or virtually non-existent (particularly old wood fortifications), some have been preserved and are well worth a visit. 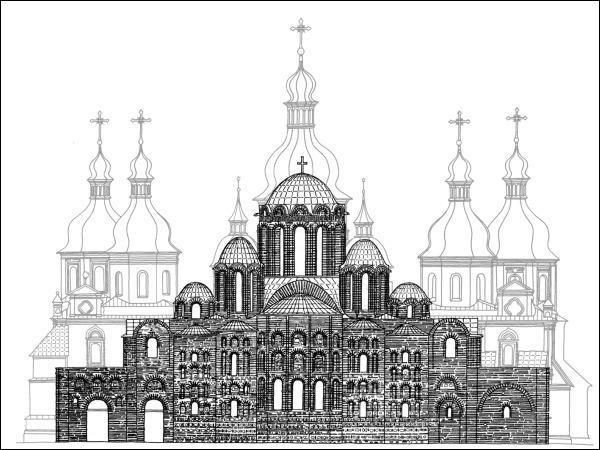 The churches of Rus’, built after the adoption of Christianity in 988, were strongly influenced by the Byzantine architecture. 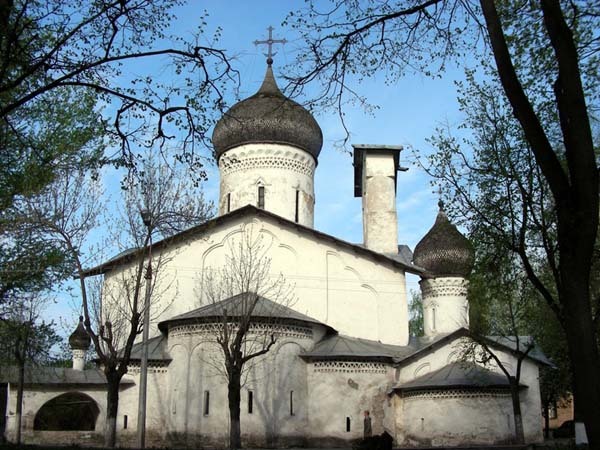 Only a handful of churches predating the 13th century Mongol invasion have survived to present. 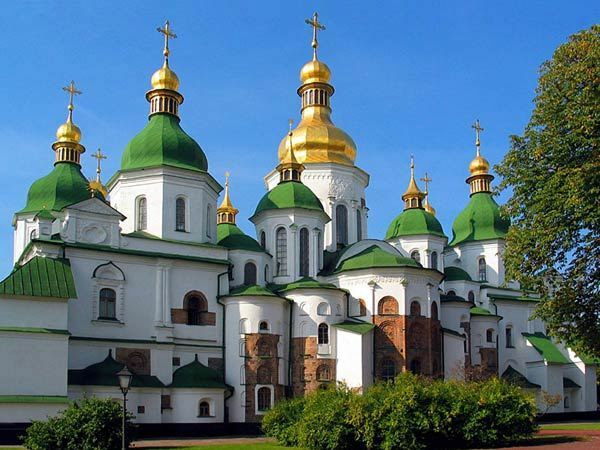 Those that weren’t destroyed, like Saint Sophia Cathedral to the left, were externally rebuilt in Baroque style (see pic below of its current Ukrainian Baroque shell). 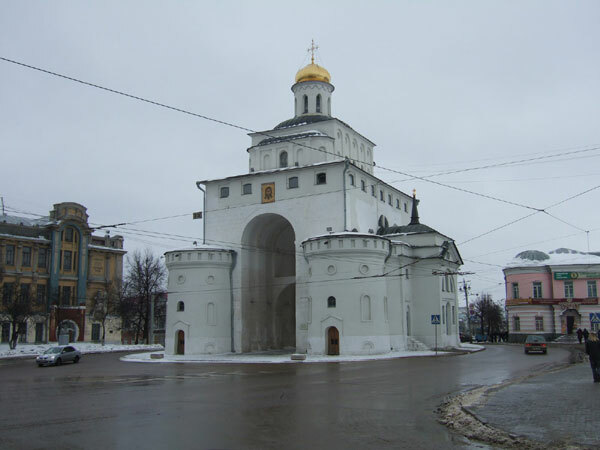 One of the few truly authentic examples of Kievan Rus’ architecture (despite 18th century restoration) is the Golden Gates of Vladimir (1158-1164), below. 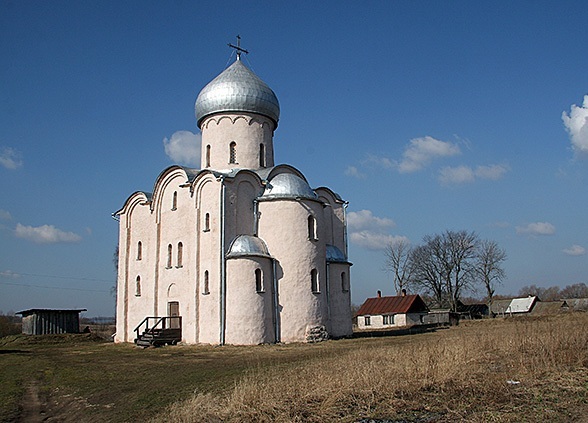 The 1237-1240 invasion of Rus’ by the Mongolians postponed the advancement of East Slavic architecture by several generations. 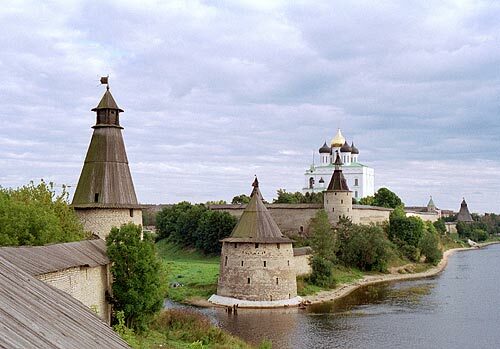 Two bastions of Rus’ that escaped the Mongol invasion, were Novgorod and Pskov. 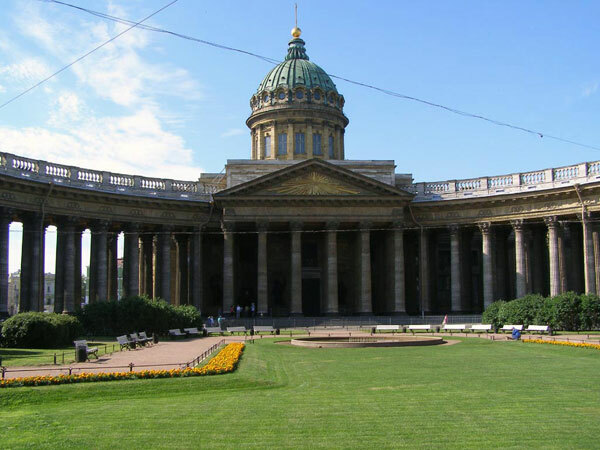 While it wasn’t the most prosperous of times (due to a loss of their main economic partners), each school continued to build cathedrals, preserving and developing their own unique style. 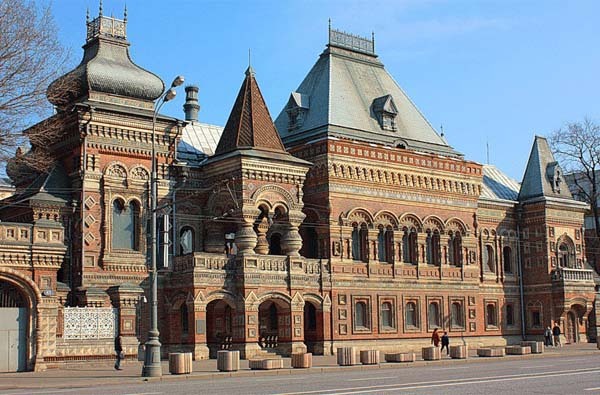 A derivative of the Early-Moscow school and a Northern style of wooden architecture (particularly of the Arkhangelsk region), Moscow and Yaroslavl schools are the most well-known styles of Russian architecture. 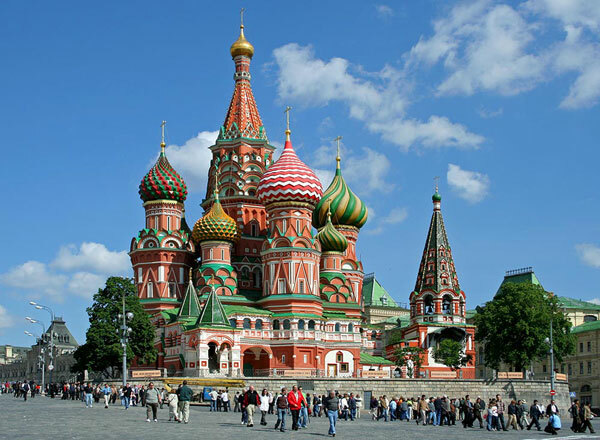 Their characteristic onion domes and tent-like roofs, like that of Saint Basil’s, are one of the iconic symbols of Russian culture. 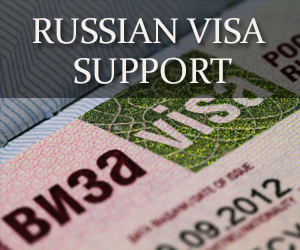 Late in the 17th century wealthy Russian merchant families started to call for stronger ties with the rest of Europe. 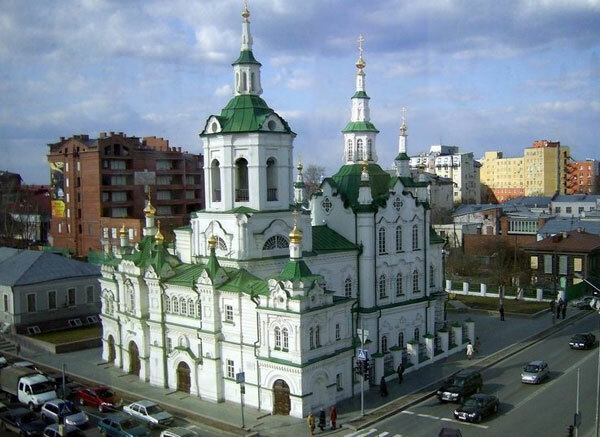 They sponsored the construction of churches in a new style similar to European Baroque. 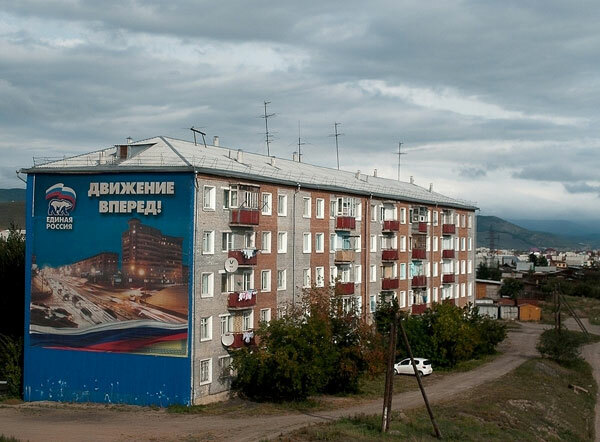 Some of the first schools of this style were Naryshkin (below) and Stroganov – named after the families that financed construction. 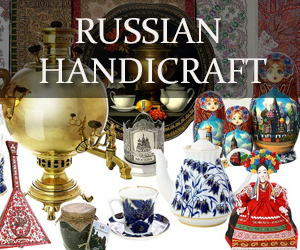 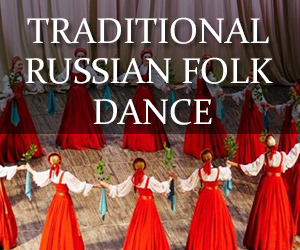 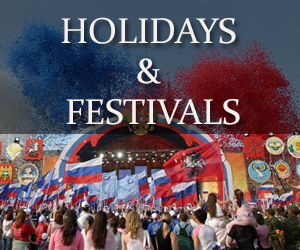 In the footsteps of Russian Baroque, styles of Ukrainian and Siberian Baroque soon followed. 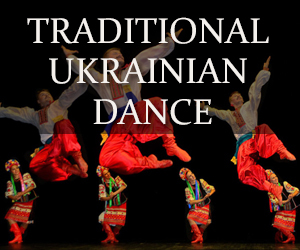 While there were slight variations, the three are more correctly grouped in a singe style – that of East Slavic Baroque. 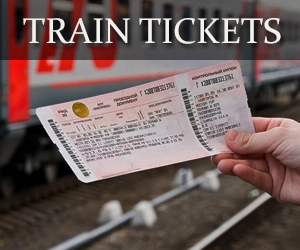 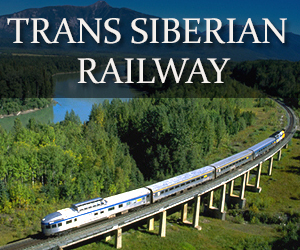 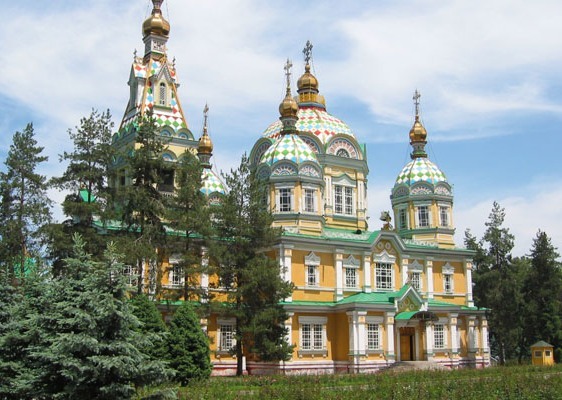 During your travels throughout Russia, Ukraine and nations of the former Soviet Union you are sure to find some foreign styles of architecture. 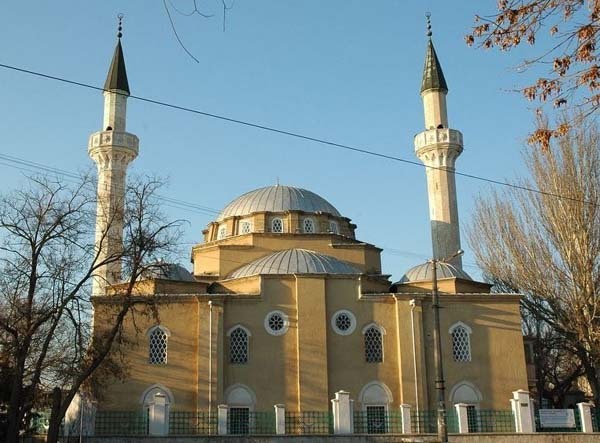 Kazakhstan, it’s central Asian neighbors, and Crimea are home to some wonderful monuments of Muslim building, while Moscow, Saint Petersburg, Belarus and western Ukraine are home to many excellent examples of western and central European styles. 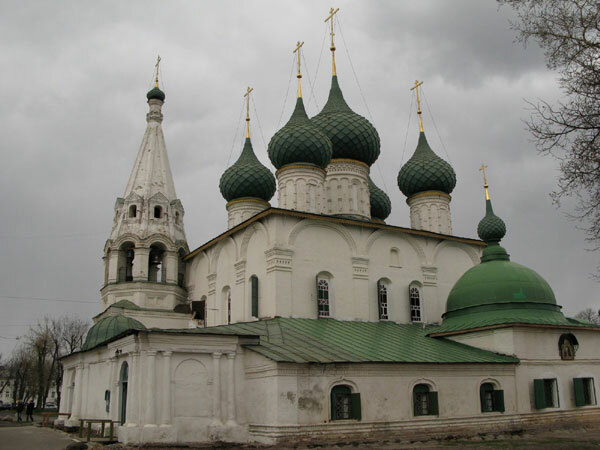 In the latter half of the 19th century nationalism started to grow amongst Russian intelligentsia. 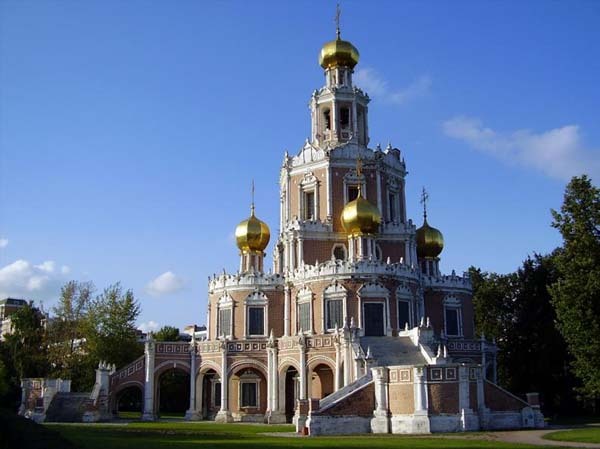 This led to the construction of Russian cathedrals and buildings that drew inspiration from traditional forms of Russian architecture, particularly that of the Moscow school (see above). 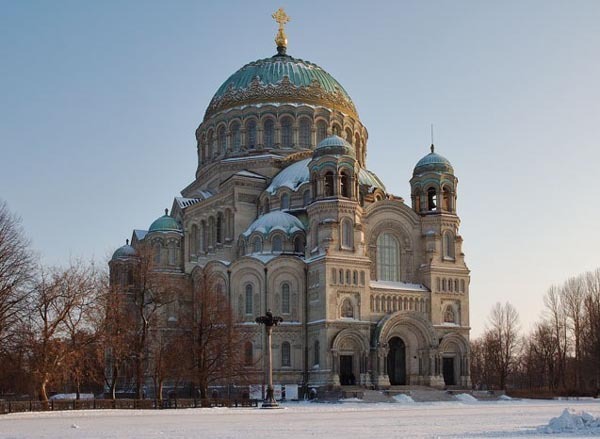 Like Russian Revival, the Neo-Byzantine style of architecture flourished in the latter half of the 19th century and continued to be used right up until the First World War. 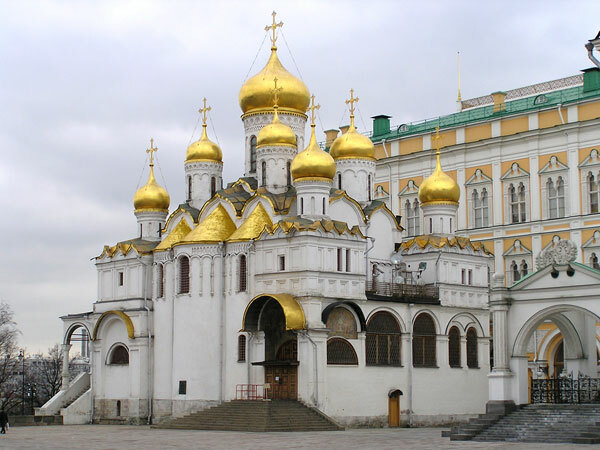 The latest of the “revival” styles of architecture, used just prior to the 1917 Russian Revolution, was Old Rus’ Revival. 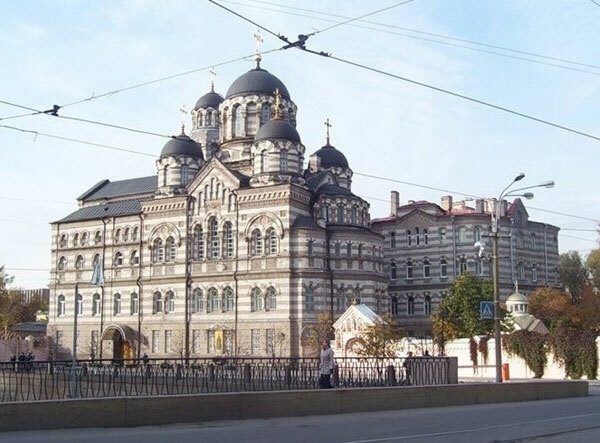 Unfortunately this style, along with the other revival styles of the late 19th century, suffered wide scale demolition by the Communists for “lacking historical value”. 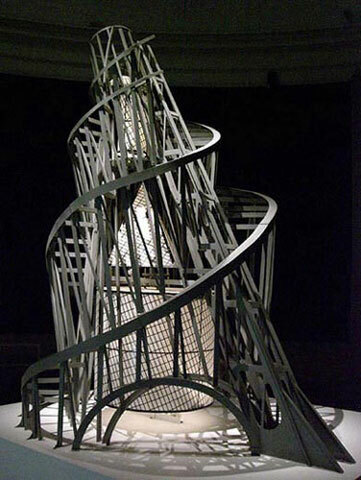 Constructivist Architecture emerged from a wider Constructivist Art movement that sought to extend the formal language of abstract art into practical design work. 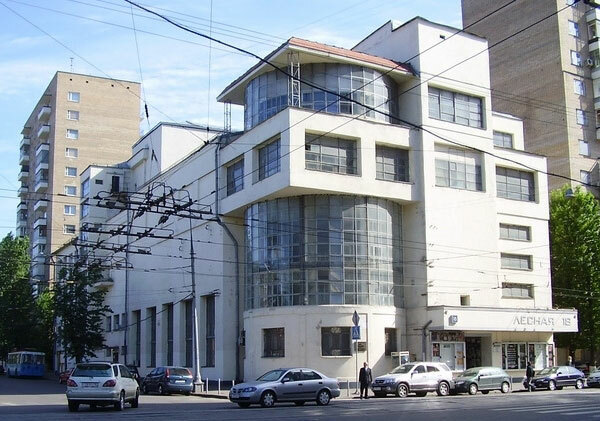 A forerunner to later developments in building and design, this ultra-modern form of architecture flourished in the Soviet Union during the 1920s and early 1930s before falling out of favor with Stalin around 1932. 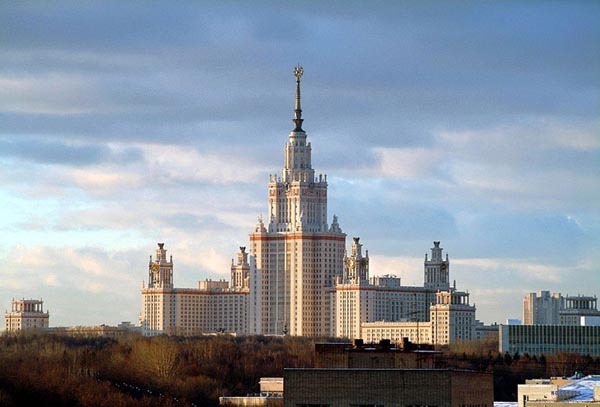 Linked to the Socialist Realism school of art is that of Stalinist Architecture. 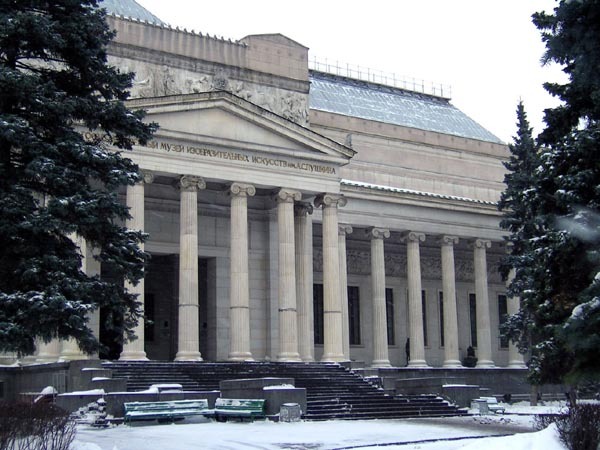 Also known as Stalinist Gothic or Socialist Classicism, this era of Russian and Ukrainian architecture lasted from 1933 until 1955, when Nikita Khruschev condemned the style as “excessive”. 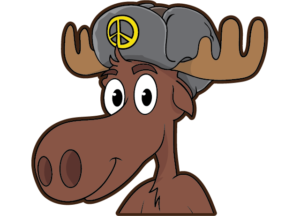 Nevertheless, this period left a indelible mark. 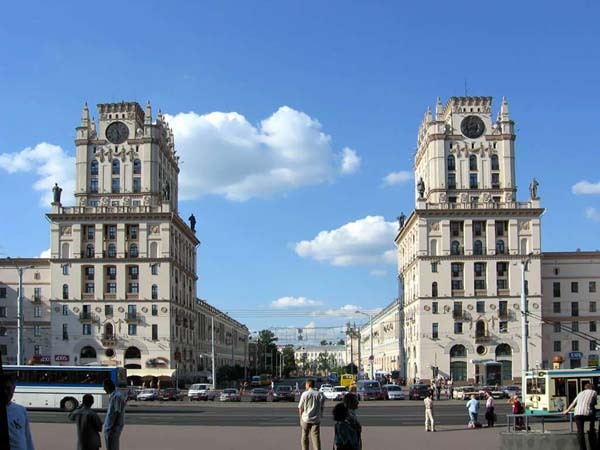 As a result of post-war rebuilding, Stalinist Architecture is still very much prevalent in the central avenues and metros of many east European cities. 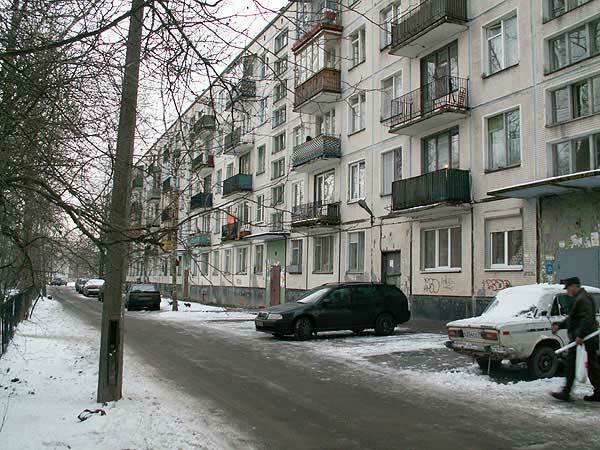 Even prior to Stalin’s death in 1953, it was evident that construction had to be made more efficient to meet the housing crisis. 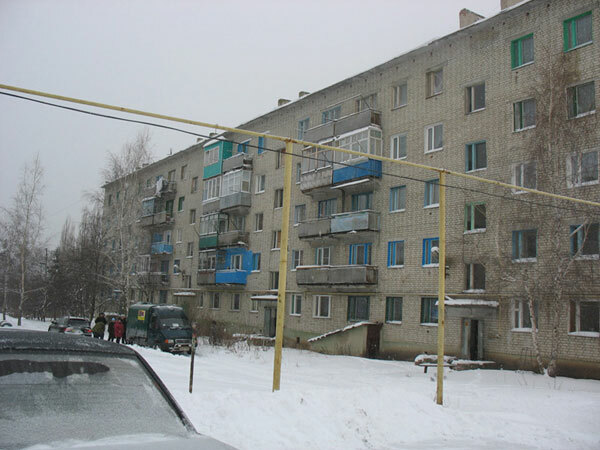 Under the tenure of Nikita Khrushchev housing was truly simplified with the advent of 5-storey buildings or “pyati-etazhki”. 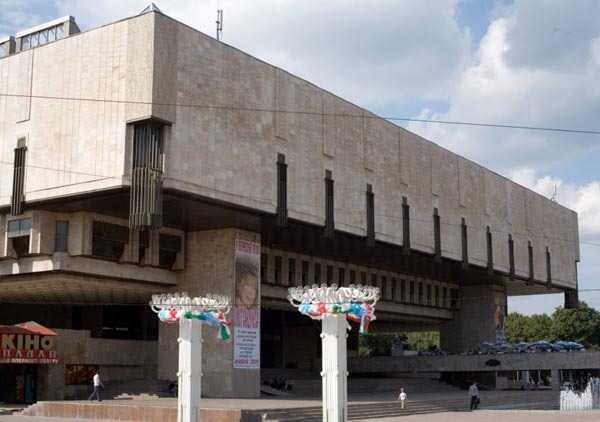 Mass-produced with nothing but concrete panels, their similar “box-like” appearance is a major reason for the negative perception of East European, socialist era architecture. 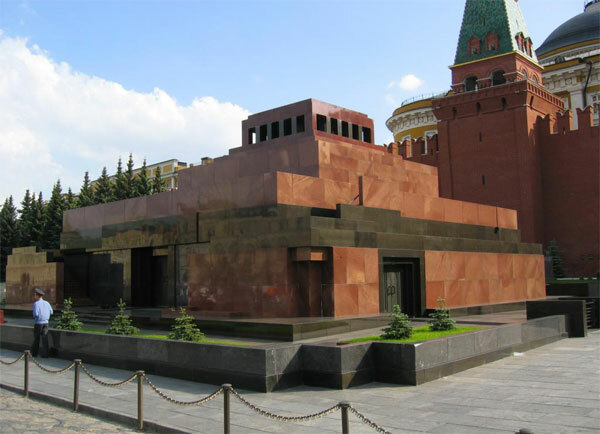 As the 1960s turned into the 1970s, Leonid Brezhnev started to relax architectural controls. 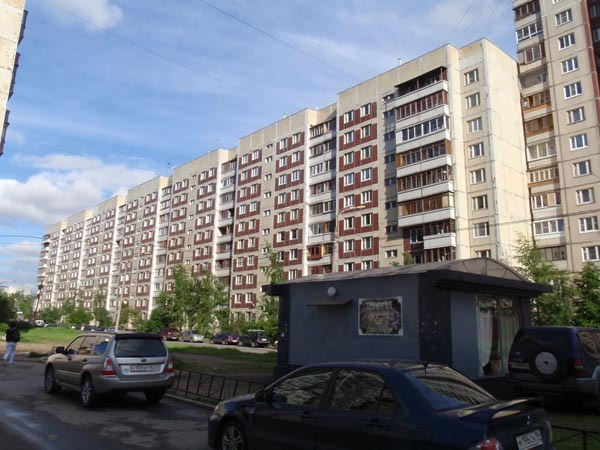 Apartment blocks grew to include extra floors, external decorations and mosaics were added for aesthetics, and architects designing public buildings were given much more freedom to vary themes. 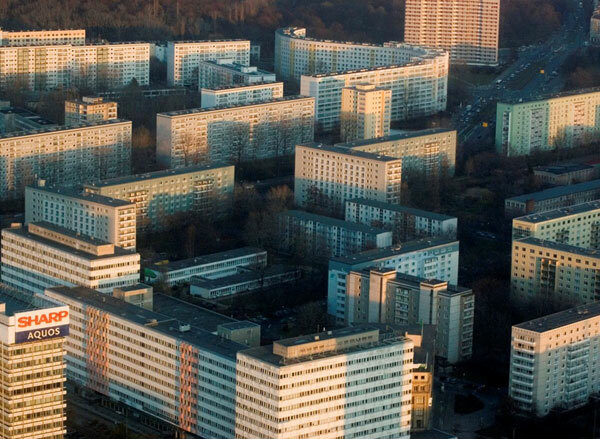 Vast housing massifs (bottom left) also became common in larger cities. 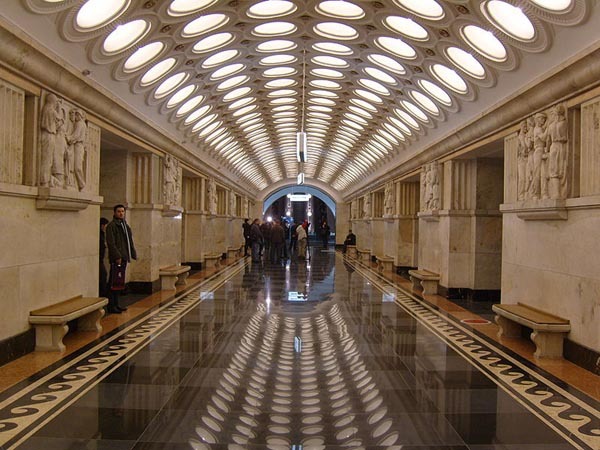 Despite the relaxed controls, the state still had its say on what could and couldn’t be built – with an emphasis on functionality over beauty. 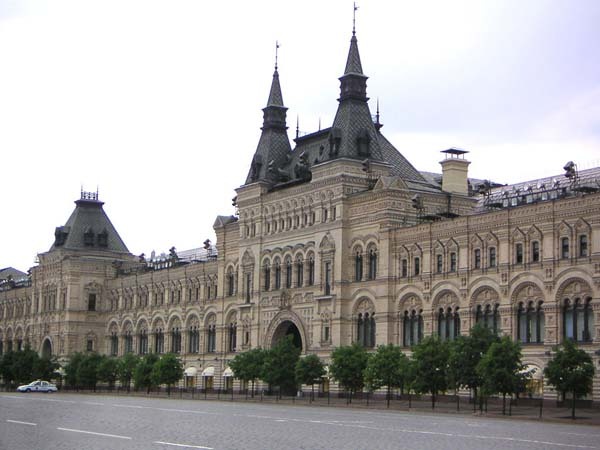 Following the end of the Soviet Union building controls were at long last abolished. 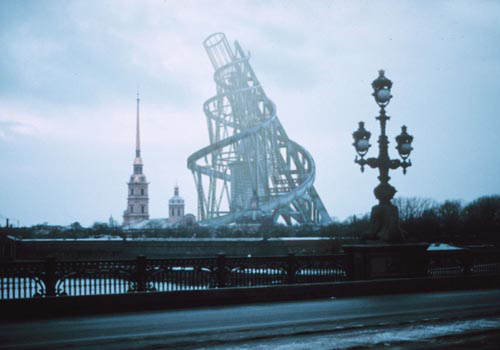 The 1990s saw some turbulent economic times, but as time progressed and money started to flow in from Russia’s great oil and commodity wealth, modern architecture also started to appear at an ever quickening rate. 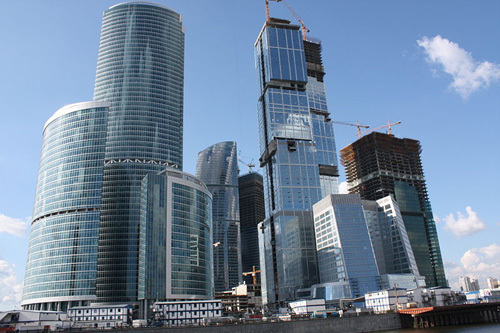 One of the best examples of modern architecture is the Moscow International Business Center as seen in the photos.